The theme for the October 2013 Kilborn workshop in Taos was Fall Colors. 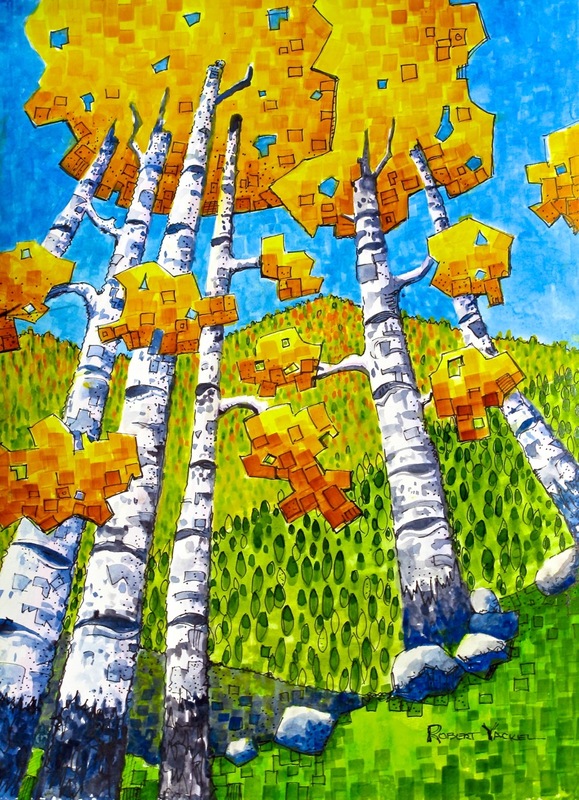 For the gallery show on Friday night Bob selected his painting of aspens. This painting sold at the show but he’s being encourage to paint another version on the theme. This entry was posted on October 22, 2013 at 11:35 am and is filed under Art, Art Show, Paintings, Watercolors. You can follow any responses to this entry through the RSS 2.0 feed. You can leave a response, or trackback from your own site.